World Harbor Marinades Only $0.67 at Stop & Shop, Giant, and Martin! Running 5/19 – 5/25 Stop & Shop, Giant, and Martin all have World Harbor Marinades on sale for $1.67 each! 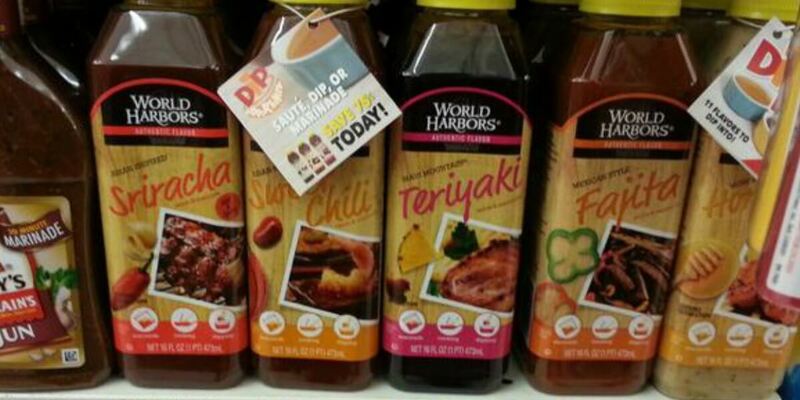 We have a $0.50/1 World Harbors Sauce and Marinade printable coupon available. After coupon pay just $0.67 each! Great Deal, Stock up! ShopRite Shoppers – FREE Wet N Wild Cosmetics! Frank’s RedHot Sauce as Low as FREE at ShopRite!